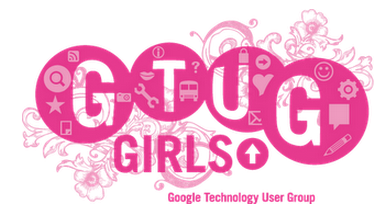 "GTUG Girls" stands for Google Technology User Group for Girls. When I started working for Developer Relations team at Google, I realized there are so few female developers in Japan, and much fewer of them comes to developer events. When I asked some of them why this is the case, one of the reasons they mentioned was that when they go to developer events, it is full of men and they are often the only female there, feel lonely and don't want to go any more. There had to be a developer community for women here. 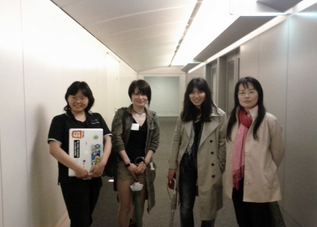 So the 4 of us- Yuki Anzai, Rin Yano, Miwako Ichijo and I started GTUG Girls back in June, 2011. Our activity policy was 1) Meet people 2) Teach each other 3) Cross platform and 4) Create something. At GTUG Girls, we start the event with mingling time, accompanied with light meal. In general, women wants to make friends rather than feel lonely during the whole event not knowing anybody else and go home lonely. 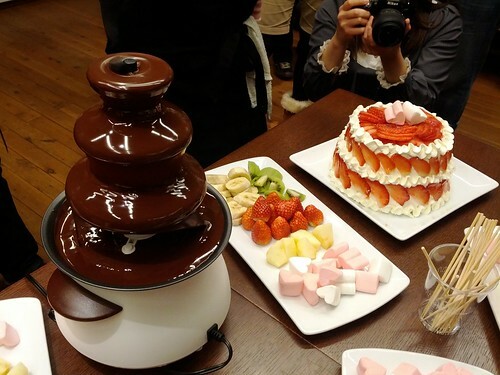 So we have them bring their own snacks or light meal to share, and mingle at the beginning of the event so that they have companies throughout. Also, we encourage participants to teach your neighbor - even if you are not an expert, if someone sitting next to you can't do what you just did, help them out. Having ice breaker at the beginning of the event is important to make this happen. 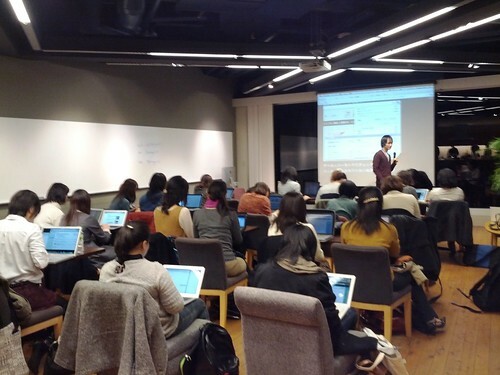 Various girls' developer club exists, such as Android Girls' Group, Python Girls etc. At GTUG Girls, we cover various technologies, which enables participants to come and teach each other different skills and always learn new things- they can try and learn technologies that they would otherwise would not have tried. For example we have done codelabs of Android, HTML5, Google Apps Script, Chrome Extensions, Google App Engine, etc. Many of the female newbie programmer faces issues when they try to do programming on their own. They try it, but end up unable to make it work by themselves. Therefore, at GTUG Girls, we don’t do “lecture only, listen only” style events, which you have many opportunities already elsewhere. We focus on handson codelabs, and ensure that participants go home with “something that works” even if they are beginners, with the help of tutors. At GTUG Girls, we always have more tutor to participant ratio than usual events, so that participants don’t need to hesitate to ask the tutors. Being a beginner should not be a barrier- every single expert was a beginner at some point! The problem that many communities faces is that the organizers have a lot of burden on themselves, and eventually burn out. 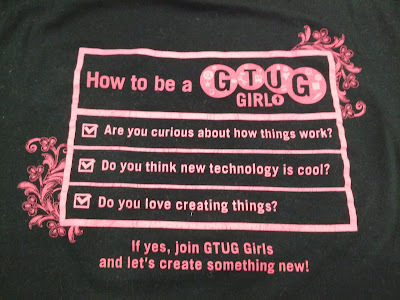 At GTUG Girls, we welcomed anyone who wants to contribute to our community to join as staff. As a result, we have almost 20 staffs organizing GTUG Girls among 200+ members. As a result, we are able to distribute the tasks organizing events, and get more involvement from the community, more people feeling the event to be their own event, rather than just a participant. This also gave staffs experience to organize events that they have never tried- those who were just “participants” has gradually grown to “organizers” over the last year. At the end of each event, we make a dedicated time for the participants to reply to survey, so that they can give feedback on what they felt, what they want to see in the future events. This gives us ideas on what we can do better to make GTUG Girls a better community. Since we’re using our spare time after work or during the weekends, community activities should be something fun for those involved. 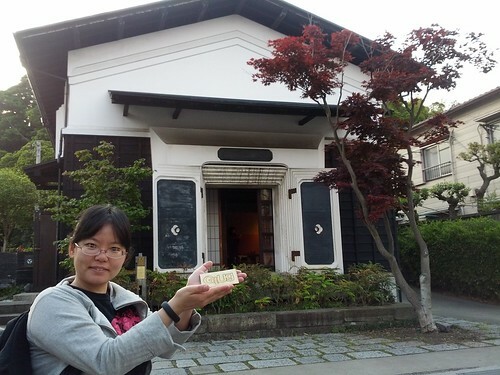 We did a field trip to Kamakura once, visitng a tech company listening to a techtalk about HTML5(SVG), visiting FabLab and playing with their laser printer, visiting temples and shrines, etc. This is the photo of FabLab Kamakura, me holding a piece of wood we printed "GTUG" with a laser printer. Basically, “GTUG Girls” is a place where women who has something they want to learn / realize to gather and make it happen with the help of each other. It’s a place where we are able to propose what we want to learn and organize events, rather than waiting for someone to hold one. We also make sure participants don’t go home just listening, nor end up giving up with something that doesn’t work - it’s super important that they go home with something that works, that is coded with their own hands. 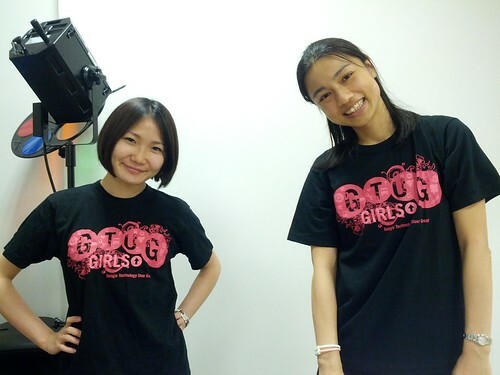 GTUG Girls is currently held in Japan only, in Japanese language only, but feel free to start one in your country/language!